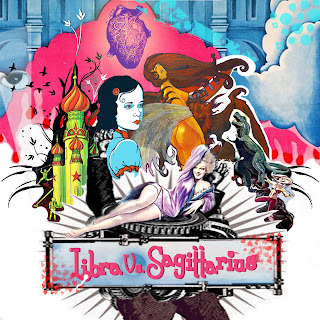 With Libra Vs Sagittarius I set out to make an entire love mixtape rather than a love song. Put simply, this was a mixtape made for a girl. The selections pertain to the bands we discovered together, gigs witnessed and moments shared. Should I even be sharing this, I don't know? Well, my heart has long since been trampled and looking back at the track listing now it’s a motley bunch of tunes. Neither of us had a penchant for pop music so our sing-alongs and snuggles were most frequently accompanied by Sunn0))) or This Heat! Stylistically speaking it’s one of my most diverse mixes and all the artists have entire discographies that warrant a listen: Dungen, Embryo, Kraftwerk, Neu etc. It also features a few of my favourite New Zealand acts; Akaname, Thrashing Marling and Leila Adu. This has some crazy selections.